My friends wouldn't join a book club, so here I am, making my own. This is one of my favorite books and I don’t throw that term around lightly. 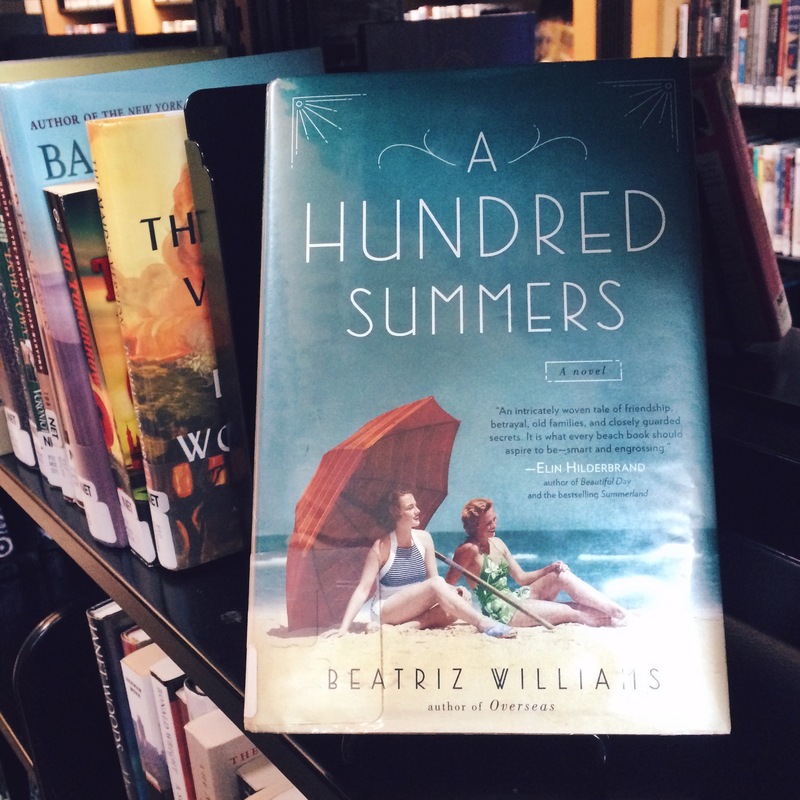 A Hundred Summers by Beatriz Williams is a fantastic historical fiction novel sharing the story of Nick and Lily. This was the first book I read of Williams and I have adored her writing style ever since. A Hundred Summers switches between the years 1931 and 1938 in New York City and a nearby beach town where wealthy people spend their summers lounging by the shore. During present time in the book, 1938, Nick and Lily aren’t together, but when the story switches back to 1931 they are. The book is spent reconciling what happened between those years that tore the pair apart. Williams does a great job building characters and plot twists into the book to keep us readers guessing. This story sucked me in and every misunderstanding between characters had me gripping the book in frustration. I love a book that makes me feel actively invested in the outcomes of the characters. My one critique of A Hundred Summers was the ending, which was a bit random, but it worked. I loved this and every other book I’ve read by Beatriz Williams and I highly recommend her work! Yea the ending was a bit out of nowhere, but it was based on a real event! I hope you enjoy! It sounds like something I’d enjoy – thanks for enlightening me! I hope you do! I love her work! This was an amazing review, definitely think I will check this book out. Thank you, I’ll have to keep my eye out for it. We’ve created a Facebook page to stay connected!